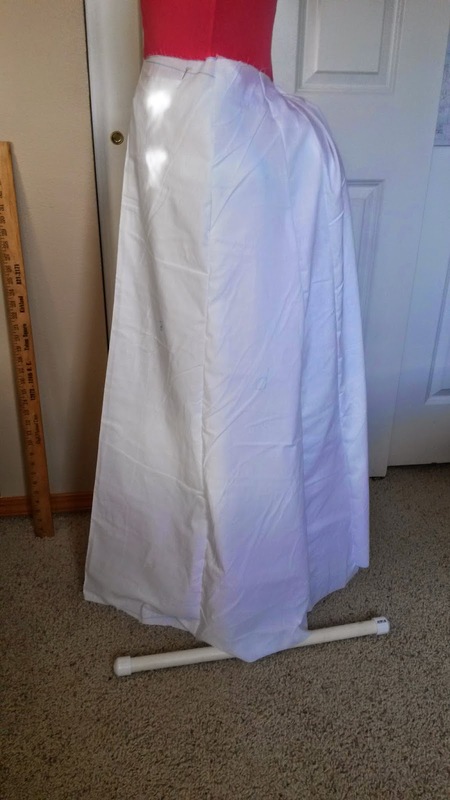 A few days ago I went to work on figuring out how I wanted to do my bustle for the Wishing Dress. Becuase I'm cheap, I started out by trying a pattern from Jean Hunnisett's Period Costume for the Stage and Screen. 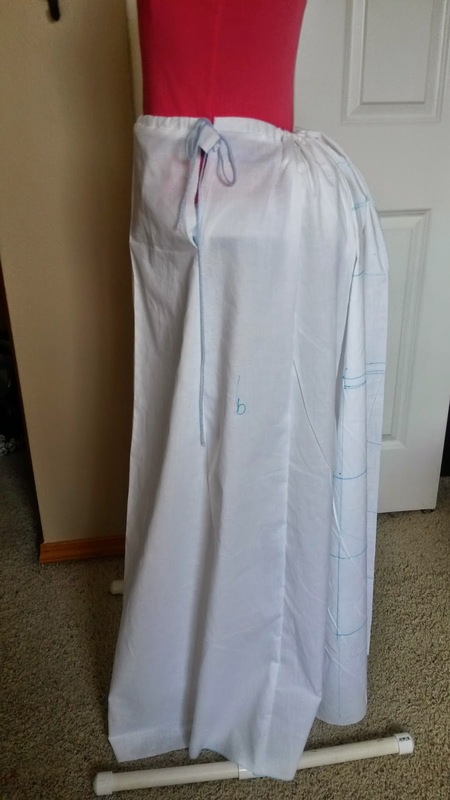 I copied out one of her bustle petticoat patterns and put it over top of a basic pillow bustle I made a while back. I also took another pattern from the book for the mock up of the skirt. I didn't gather it in the back like it was supposed to be since I didn't know weather I would end up using that skirt pattern or the bustle underneath. So it's just kind of pinned in the back. After much consideration I've decided to make a bigger bustle, and one with wire in the back. This was partially to get the bigger bustle but also becuase I'm afraid that after I put the weight of the skirt and the waterfall bustle it will kind of crush what silhouette I have. Having a bustle with wire will give both a bigger shape and also give it more support. The pattern I ended up going with is the Truly Victorian 101 Wire Bustle. 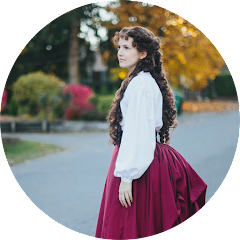 I also purchased the wire for the bustle from Truly Victorian, which is really convenient because it'll come already cut and to the proper size. I won't have to worry about finding wire, then cutting it, and then finishing the tips. Plus it's pretty cheap. Which is always a great thing, especially since I think I'll end up spending a lot on this costume. I can't wait to get the fabric and for the pattern to get here so I can make it!